Wayde Sims was an American basketball player. He played in the forward position. He was playing for the LSU Tigers men's basketball team at the Louisiana State University. He was shot and killed on 28 September 2018 outside a Subway eatery across from Southern's A.W. Mumford Stadium in Baton Rouge, Louisiana. He was 20 years old when he died. 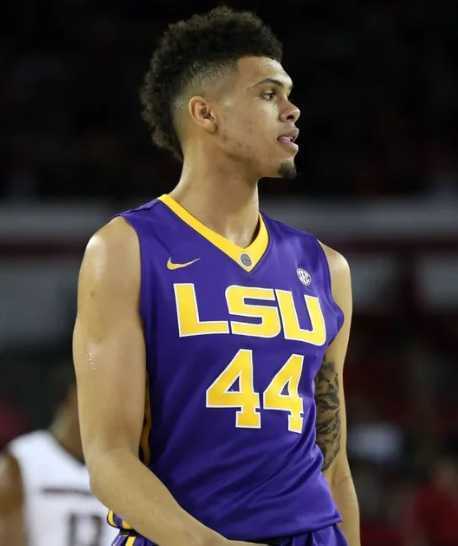 LSU's forward Wayde Sims was shot and killed during an altercation on the night of September 2018. 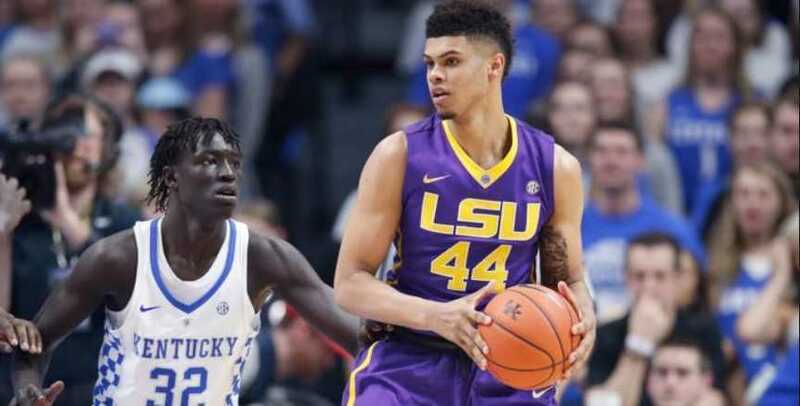 The death of the LSU forward who played only 2 years for the LSU Tigers devasted everyone knew him. It has been six months since the incident occurred. LSU displayed a memorial in the Pete Maravich Assembly Center, home of LSU basketball. LSU went on to advance to its first Sweet 16 in 13 years defeating Maryland on Saturday. Freshman forward Emmitt Williams for the LSU Tigers honored Sims when LSU's score reached 44 points, the jersey number wore by Wayde Sims. Emmitt held up four fingers on each hand remembering Sims. 2014-15 Louisiana Gatorade Player of the Year. Was shot and killed on 28 September 2018. Wayde Sims was born on 13 December 1997. He was born to a father, Wayne Sims, and a mother, Fay Sims. His birthplace was in Winter Park, Florida in the United States. He held American nationality. He belonged to White ethnicity. His religion was Christian. He attended Louisiana State University, where he played college basketball for the LSU Tigers. He chose LSU because he wanted to stay close to home. He was studying Kinesiology major. His favorite professional basketball player was LeBron James. He supported the Cleveland Cavaliers of the NBA. He attended University High School in Baton Rouge. He won three state titles in 2014, 2015 and 2016 under head coach Joe Spencer. He was named 2014-15 Louisiana Gatorade Player of the Year. He was named to First Team All-State selection. He was named the Most Outstanding Player at the LHSAA Top 28 two times. He committed to play for the LSU Tigers at the Louisiana State University. In his freshman year at LSU, he averaged 6.5 points, 3.8 rebounds, and 0.7 steals starting 5 in 31 games played. He scored 15 points against Texas A&M. In his sophomore year at LSU, he played in 32 games including 10 starts. He averaged 5.6 points, 2.9 rebounds, 0. steals in the 2017-18 season. He scored career-high 16 points in 30 minutes against Vanderbilt. What Caused Wayde Sims' Death? On 28 September 2018, Around 12.25 am, he was shot and killed outside a Subway sandwich shop at 668 Harding Boulevard located across from Southern's A.W. Mumford Stadium in Baton Rouge, Louisiana. He was shot during a brawl including several young men. They were seen throwing punches at each other. Suddenly, he was shot and he fell to the ground faced down. The other people involved in the fight ran away. He was rushed immediately to the hospital, where he died due to the gunshot wound. Baton Rouge police arrested 20-year old Dyson Simpson for the murder. He was charged with second-degree murder. He is awaiting trial. What were Wayde Sims' Body Measurements? Wayne Sims stood at a height of 1.98 m i.e. 6 feet and 6 inches tall. He had a body weight of 217 lbs i.e. 99 kg. He had an athletic body build. His body measurements were 42-30-36 inches. He had a bicep size of 13 inches. He had dark brown eyes and his hair color was black. He wore shoe of size 10 (US). His father also played basketball at LSU. His favorite athlete outside basketball was Odell Beckham Jr.
His close friend and LSU guard Skylar Mays writes the number 44 and the date of Sims' death on his right shoe before every game in his memory.